Back support belts prevent injuries and help you feel less tired by the end of the day. Standing in one position for a long time or constantly bending and stretching can take quite a toll on your sensitive back. Back injuries are some of the most common types of workplace injuries. One wrong bend or twist and you will be out of commission for days or weeks. Once you have seriously wrenched your back, it will never be the same again. Millions of people suffer from chronic back pain because of old injuries. Back surgeries offer a small amount of success, but once you hurt your back, you can expect to live with pain for the rest of your life. Prevent a back injury at all costs. 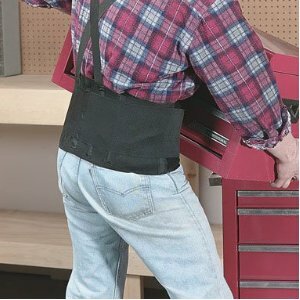 What are Back Support Belts? Also called lumbar support belts, they are lightweight and designed to be worn around your mid-section. They provide support for your lower back. 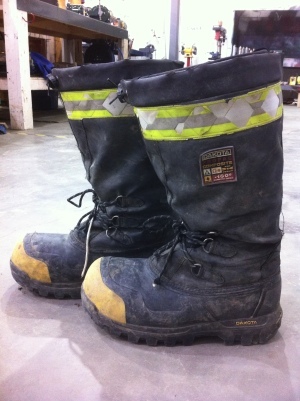 Similar belts were originally used mostly by weight lifters and in rehabilitation therapy, but more and more workers are starting to use them, as well. 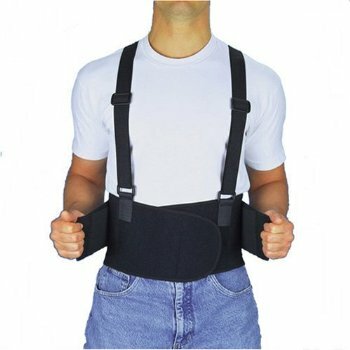 Any one that has to do a lot of bending and lifting will benefit greatly from wearing a back belt. These belts are designed to take pressure off your spine. But, there is a drawback with wearing these belts. Some people rely too much on the belt and become careless. They take extra risks believing the belt will protect them from injury. The belt will help prevent injury, but you still have to use common sense and work within your ability. Work longer hours without feeling unbearably tired. Stand in one spot longer than you normally could. Greatly improve your posture and muscle tone. But, it will not make you Superman. You have to realize your limits and never put excessive strain on your back. Many studies have been done about the effectiveness of back support belts. These studies involved industrial and home environments. These studies showed that a firm, curved surface pressed against the lower back helps maintain proper spinal alignment and enhances body mechanics. The belt works on a conscious level, correcting poor posture habits. Better posture means less back pain and fatigue. If you have spinal anomalies like kyphotic posture, spinal fusion or scoliosis, the belt will not be able to adjust to the curve of your body and will therefore be uncomfortable to wear. Only about 5% of the population suffers from these problems, so there is a good chance the belt will work for you. Even though they are used in rehabilitation therapy, they are not a substitute for proper medical care. If your back pain worsens or does not improve with the use of a support belt, see your doctor. There may be underlying conditions that need medical attention. You will find that all belts are not the same. There are many different types of support belts available. Some are specifically designed for weightlifting, some for rehabilitation and others for light duty. Which type you need will depend on the amount of bending and lifting your job requires. Read as much information about the belt you are thinking about buying as you can find. The best belts will not restrict your movement. Some belts are designed more like a girdle than a back support. This will make it very difficult for you to do your job. High quality back support belts improve your posture and strengthen your muscles. Poor quality belts will not give you any support and may actually make your muscles weaker. Your bed may be a big factor in how your back feels. Millions of people wake up in the morning with such bad pain, they can barely walk. Of course, when you are younger this pain lessens after you have been up and about for a while. But, when you get older this pain only worsens. Mattress manufacturers have been struggling for years to create the perfect bed. A mattress that will make you feel rested and full of energy when you get up in the morning is the ultimate goal. But, your mattress cannot prevent back injuries caused by your job. Taking care of your back during the day is your responsibility. Always lift with your legs. Never twist at the waist. Avoid stretching in awkward ways. Do everything you can do to prevent a back injury. Wearing back support belts can help, but it is still up to you to treat your back with care. Thinking About Becoming An Electrician? Do you want to know more about this electrical topic? Whether it's going over what Electrician Tools you need or discussing the importance of Electrician Safety write to me for free Electrician Advice and I'll answer! 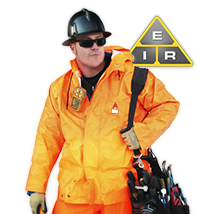 To return to the Electrician Information Resource homepage, click here. In the latest in our Electrician School series, we explain what an electrical transformer is, and how they work. Electrician School explains what an electrical relay is, how to work with them, and how to avoid relay chatter. Electrician School explains what electrical bonding is. How electrical code requires it, and when you might encounter it in your career. Copyright 2016-2019 Dusten Huebner. All Rights Reserved.